Are land-based casinos finally learning from the online world? 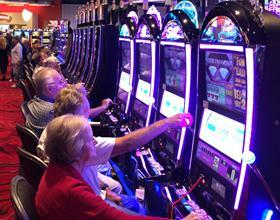 America’s casinos are finally starting to smarten up. Or at least one land-based casino in Massachusetts is. 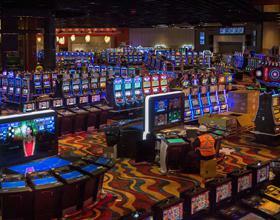 Plainridge Park Casino has announced a new computer system to help gamblers control their losses. The system, which hasn’t yet been implemented, will inform gamblers of how much money they’ve spent on slots as they play. Gamblers sign up for the voluntary program if they feel they have a gambling problem. The gambler sets a limit they’re comfortable with. As he or she plays, a screen displays how much of their bankroll they’ve used up, and how far into their limit they’ve reached. It all sounds good, except for one thing. The new program won’t actually stop players from overspending. For example, let’s say Steven has a gambling problem. He sets his limit to $350 because that’s what he’s comfortable with. As he nears $350, he’ll receive a message on screen letting him know that he’s getting close to his pre-determined limit. When he finally hits that limit, he’ll receive another warning. But here’s the thing. He can actually go over that limit and the game won’t stop. It’s basically like a flashing siren but no actual police cruiser pulling you over. And with such a crippled implementation, we’re not so sure how effective the program will be. Contrast that with Palace of Chance, where we put players in full control of their spending limits. In fact, we put a ceiling on all spending limits automatically, even without you having to ask us to. When you first create your account, you’re subject to daily, weekly, and deposit limits. It’s designed to reduce fraud, but more importantly it’s designed to keep you safe. If you try to deposit more than allowed to your account, you’ll be instructed that you need to wait for a specific amount of time to pass before you can make another deposit. And we go even further. We monitor overspending patterns and will help those who have a gambling problem by lowering deposit limits or even setting exclusion periods. While the land-based solution announced this week doesn’t go far enough, it’s definitely a good start and we are happy to see live casinos take problem gambling seriously. We hope that more casinos across America will follow suit, though we think this program should be mandatory. If we had our way, all casino patrons would be required to insert a player’s card in order to play. Each card would come with preset spending limits and players wouldn’t be able to go above and beyond that. The same technology could be implemented at the tables, as long as all players were given players cards. Of course, this would all take a fairly heavy investment from casinos. Though, if they’re willing to collectively spend billions of dollars on slot machines, they have some leverage to ask the slot machine manufacturers to implement this technology. Need help reducing your limits or self-excluding yourself from Palace of Chance? Please get in touch with us.